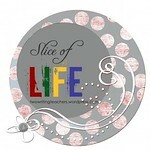 I'm attempting to write every day in March as part of the Slice of Life Challenge hosted by Two Reading Teachers. Stop by! 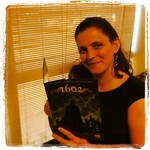 This post is cross posted with the Nerdy Book Club blog. I'm the guest blogger today! 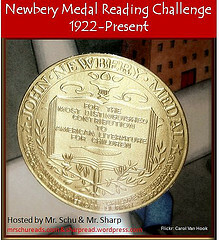 Check out their awesome blog filled with amazing information from people who love to read. Hear me out, my fellow readers. I absolutely claim membership in the Nerdy Book Club. I’ve been a card carrying member since my earliest memories. No - even before that. My mother tells stories of my father reading to me from his anatomy textbooks as an infant. Maybe that’s where it all began. You see, I was an oddball – a geeky reader who just happened to be of the feminine persuasion. Maybe the melody of my father’s voice reading medical school textbooks did it, or maybe that’s just how I would have turned out anyway. 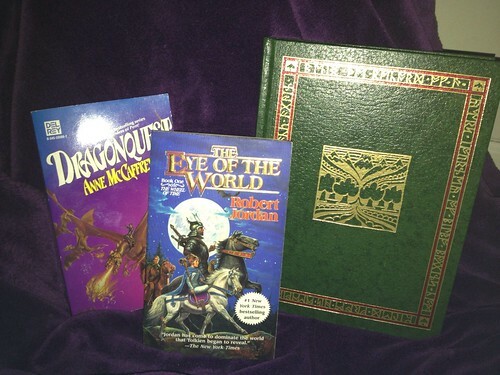 My fondest, sweetest literary memories revolve around science fiction and fantasy. Narnia was my second home. My heart broke along with the older Pevensie children as they were told they were too old to return to the magical land. My love for C.S. Lewis led me to move into his science fiction trilogy in fifth grade. Out of the Silent Planet widened my world view and taught me the joys of hard science in my texts. Throughout middle school and high school I devoured worlds like Galactus. Dune? Heck yeah, the spice must flow! Middle Earth? Let’s have tea and cakes in a cozy hobbit hole. Pern? Sign me up for dragon riding lessons! Tar Valon in the Wheel of Time? I’d love to claim the Green, but I know I’d really be Brown Ajah. How did I know I’d found the love of my life? 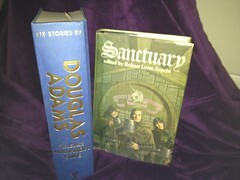 As friends in high school, my husband lugged in an enormous duffle bag filled to the brim with science fiction books. 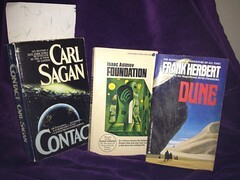 Asimov, Card, Heinlein, Herbert, Sagan… oh yeah, it was true love. They didn’t need to be hard hitting, serious reads, though. I adored the goofy shenanigans of Douglas Adams. Did you know that to learn how to fly, all you really need to do is to throw yourself at the ground – and miss? Robert Aspirin’s silly Myth, Inc. tales resulted in stifled chuckles as I snuck a bit of reading material behind my math books. Piers Anthony inspired me to reexamine the Greek deities with his unique take on mythology in the Incarnations of Immortality series. I stumbled upon an anthology series by some of my favorite authors – called “Thieves World”, and hunted down the entire set of out of print volumes. Yes, I still own all of these books, and I’m eagerly awaiting the day that I can foist them off on my progeny. To this day, I make a bee line for the new arrivals in the science fiction and fantasy section of the book store before I look anywhere else. I’ve completed all five enormous Game of Thrones tomes. I’m still a dedicated Geeky Reader. I even made the plunge into comics this past summer and write reviews for fun. When I was a teenager, being a geeky reader – as a girl – was something to conceal. I couldn’t chat about them in the lunchroom. I couldn’t devour them at a sleepover. Thankfully, the internet has given me the affirmation that I knew all along. Girls DO love science fiction and fantasy. With the tremendous success of Harry Potter, girls today will hopefully never need to hide their geeky reading behind a girl approved novel.